All we ask for is commitment, to play regularly, to practice with us, and join us in concert. 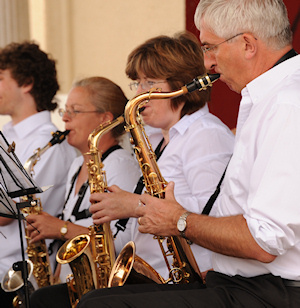 We are also available to play concerts: whether for fund-raising or just for enjoyment, indoor or out (summer venues! ), we can assemble a suitable programme to entertain. Let us know your requirements, and book us in good time.